NemesisV: System Restore Saves the Day! System Restore Saves the Day! This has been in system a long time ago, since XP perhaps. While most of the time, we only hear about how this feature waste space and cause delay during installation, we had totally forgotten when it would become useful. In fact, for me, even in the days of Windows 8.1, this feature prove to be useful. 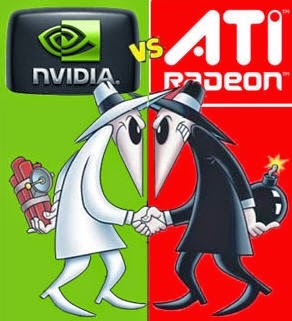 What actually happened to me was that I was migrating one of my PC from a ATI (AMD) graphics card to a Nvidia one. Anyway, in the end, during the boot option, I click "Advance Option" and decided to try a System Restore, fortunately was just before the swap since the Direct X was updated. Guess, what? It solved all the issue and I got it up on the very next reboot (even though System Restore did took a while). So, ask yourself is that little bit more of HDD space worth it? To me, definitely, since HDD space is cheap nowadays and System Restore actually manages itself not to overuse the space anyway. And one thing is for sure, I would add more restore point in the future. And lastly, Thanks Microsoft for implementing this nice feature!